Black Leopard, Red Wolf is the first audiobook in Marlon James’s hotly anticipated Dark Star trilogy, which weaves together myth and history with action-packed adventure. Simply put, it’s one of the must-listens of the year, not only for fantasy fans but for anyone who loves diving into fully-immersive worlds. 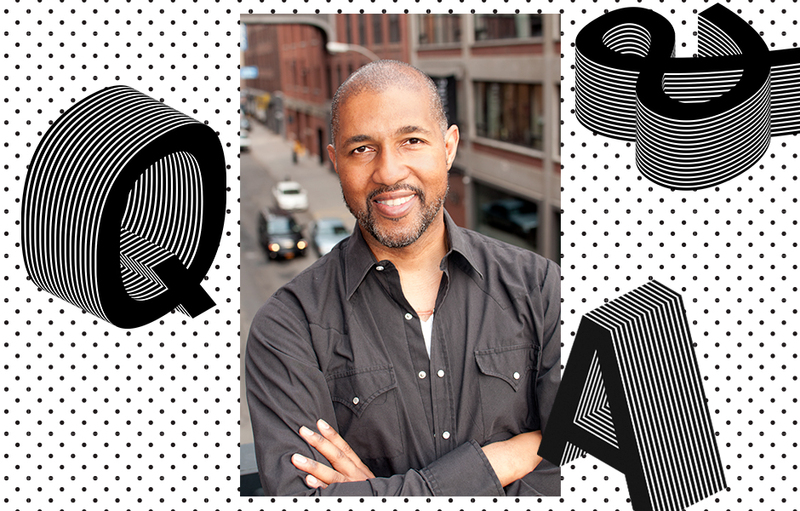 We asked multiple Audie Award–winning and critically acclaimed narrator Dion Graham what made reading Black Leopard, Red Wolf unique…and what kind of narrative voices are catching his ear these days! From a narrator perspective, what makes voicing an epic fantasy like Black Leopard, Red Wolf unique? “Epic fantasy” is the right phrase—and that’s one thing that makes it unique. It’s not everyday that we get to fall into the fantastically strange (yet utterly familiar), and sometimes scary world Tracker inhabits. Besides the humans [in the story] there’s an array of “fantastic beasts” with “fantastic urges.” It was an incredible experience bringing this multi-dimensional universe to life. A real ride of the imagination. Yes! Let’s just say that amid all the chaos and mayhem I was surprised (and utterly caught up in) the fun house ride right into the human heart. What characters in Black Leopard, Red Wolf did you especially love voicing? Oh, man—all of them? Our reluctant (anti)hero Tracker, the Leopard, of course. Mythical creatures, complex humans, gods and demigods, questionable saints and remorseful sinners, lovers and enemies—the list goes on. When you’re not working, whose voice do you most love listening to? Eh, there’s a little boy who’s laughing voice is thrilling me right about now. Ha. Well, we all like a good “heart-happy” fantasy. But as Tracker might say, “real” life might be a bit more complex. But right in time for Valentine’s Day, I am subscribing to the message of a song that’s been earworming it’s way through my soul lately: “Love is the cure for heartache” (from Cure, by Moonchild). Listen to a clip of Dion Graham narrating Black Leopard, Red Wolf below! Black Leopard, Red Wolf is an epic fantasy audiobook from the Man Booker Prize-winning author of A Brief History of Seven Killings. Myth, fantasy, and history come together to explore what happens when a mercenary is hired to find a missing child. Drawing from African history and mythology, Marlon James has written a novel unlike anything that’s come before it: a saga of breathtaking adventure that’s also an ambitious, involving read. Defying categorization and full of unforgettable characters, Black Leopard, Red Wolf is both surprising and profound as it explores the fundamentals of truth, the limits of power, and our need to understand them both. If You Like Game of Thrones, Try These Audiobooks • Hearty Listens for Chilly Winters • What We’re Listening To: February 2019 Picks • What’s the First Audiobook You’ll Listen to in 2019?